Please join us in congratulating the teams representing the MPJFL in Tasmania in March 2019. Both teams playoff to win back the "Its okay not to be ok" perpetual shield in memory of Amber Shae Mather. Round 5 is Health & Well being Round. MPJFL BlueScope Steelers Combined U15/18's Girls Team take on AFLNZ! Malcolm Bangs Tackles & Takedowns! The Mornington Peninsula Junior Football League had noticed an increase in concussions & other injuries that were due to incorrect tackling & bumping within our league and in particularly around girl’s football. 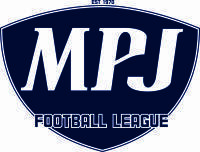 MPJFL Final's begin this Sunday 7th August. Entry is $8 for adults, kids free. What a huge night of footy we have tonight!!! Fantastic opportunity for our U14's! The Dandenong Stingrays will be running an Under 14 football skills day for the MPJFL clubs at BlueScope Oval, Denham Road, Hastings on Wednesday 6th July, 8:30am to 1:00pm. The Interleague Carnival begins tonight (Wednesday 8th June 2016). Please see the attached flier for fixture dates & times. ATTENTION ALL 11,12 & 13 YEAR OLDS! Quit Challenge - MPJFL going SmokeFree! MPJFL is Proudly going Smoke Free! The MPJFL is seeking expression of interests for Development Coaches for the 2016 season. Coaches will need to have qualifications in line with AFL coaching policies. Age groups: 13's, 14's, 15's, 16's and 17's Boys and Junior, Intermediate and Youth Girls. Rob Munro is not your average volunteer. MPJFL players star at AFL Combine. Good luck to all participants over the next 6 weeks of competition. 2015 MasterClass Series, Dynamic Footy Skills (DFS) will be running a FREE skill development session at Ferrero Reserve in Mt Martha on Saturday May 23. The MasterClass Series is open to players who are eligible for Under 10, Under 11 and Under 12 competitions (born in 2003, 2004 and 2005).